Alter BP. Diagnosis, genetics, and management of inherited bone marrow failure syndromes. Hematology Am Soc Hematol Educ Program 2007:29-39. De Lonlay P, Fenneteau O, Touati G, et al. Hematologic manifestations of inborn errors of metabolism. Arch Pediatr 2002;9:822-35. Pine M, Walter AW. 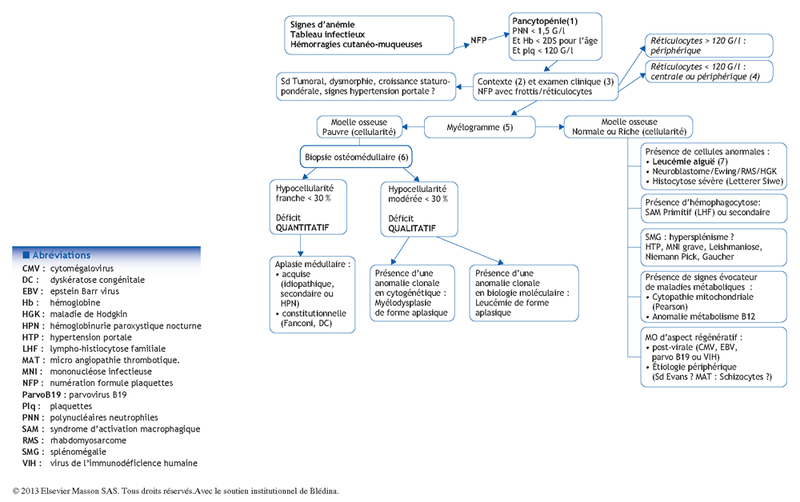 Pancytopenia in hospitalized children: a five-year review. J Pediatr Hematol Oncol 2010;32:e192-4.